Eventually, the shark and the octopus do fight. Either the scientists did something good, or the two giant sea creatures (who escaped from ice in the movie’s opening scenes) were just a little restless. 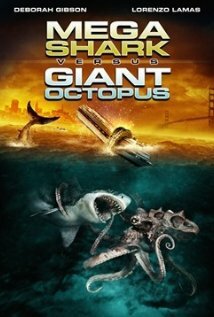 Either way, something went terribly right, and the movie ends happily, especially for some of the scientists who managed to hook up sometime between the appearance of an oddly aggressive octopus and the somewhat anti-climactic demise of the two majestic creatures. All in all, bravo Jack Perez (director). You’ve managed, in one movie, to revive my fear of the ocean and dismiss my apprehensions toward scientists who drink alcohol from bottles wrapped in small paper bags.